This is my first post in English and there are lots of explanations about the top Trending Topic on Twitter: CALA A BOCA GALVAO. GALVAO is a very rare bird in Brazil. 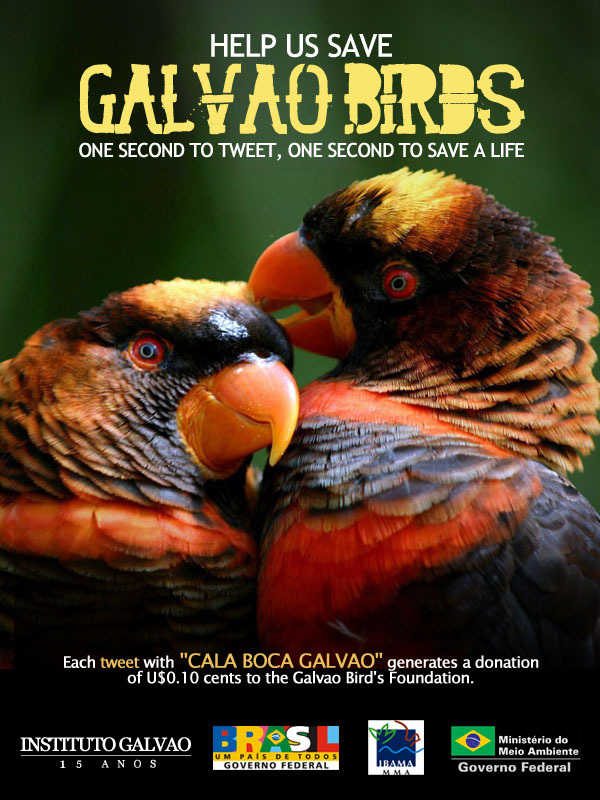 CALA BOCA means SAVE, the brazilians are very sad because lots of GALVAOS die everyday. CALA BOCA GALVAO IT'S A NEW SONG BY LADY GAGA, IT'S AMAZING! Check this link from youtube and there's no CALA BOCA GALVAO clip after Alejandro. There is no CALA A BOCA GALVAO single and even if you try to edit, this article is protected. We, Brazilians, like to make some jokes and the last two, the bird and single are only jokes :) The frist one is really true. 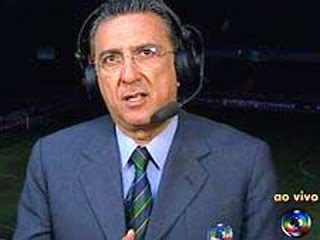 Is about Galvão Bueno. This Wikipedia link shows some annoying tags that he repeats all time :) That's why we are saying SHUT UP GALVAO. And because of this World Cup, this Trending Topic will be on the top for a long time.